Glitter scatter, bow, buttons, feather, dragonfly, flowers, frames, leaves, ribbons, stitching, tags, and more. 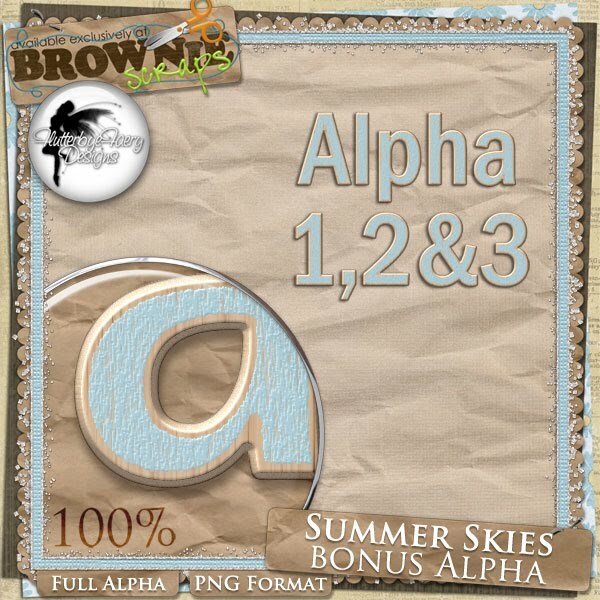 Also, if you purchase during the first 2 weeks, you'll get the bonus alpha for free! Also, Shelly and I made some quick pages with it! Thank you so much for this post. 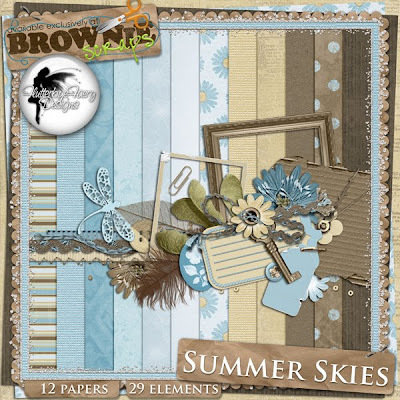 I want to let you know that I posted a link to your blog in CBH Digital Scrapbooking Freebies, under the Page 5 post on Sep. 17, 2010. Thanks again.